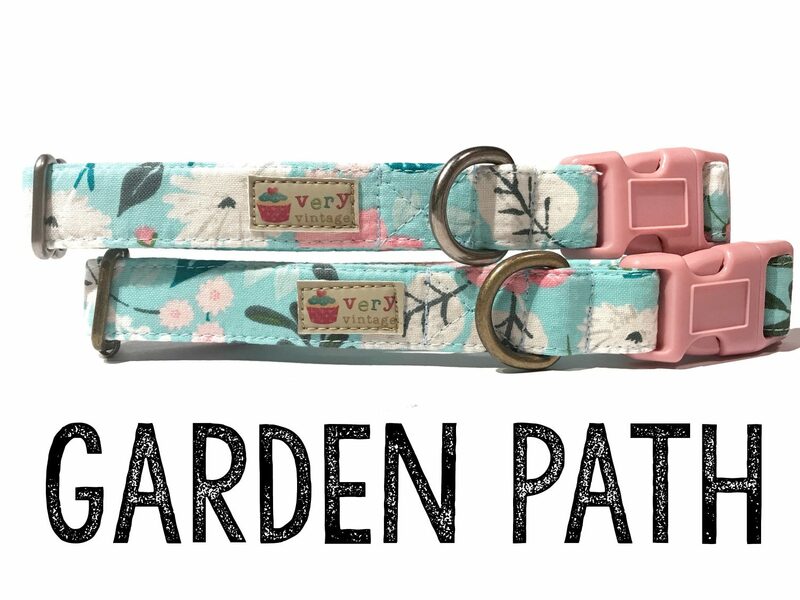 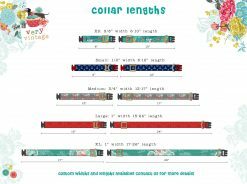 This collar is adorned with a pretty cotton covered in ice frappe light blue cotton covered with white and light pink blossoms with a touch of gray! 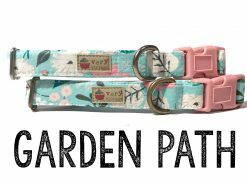 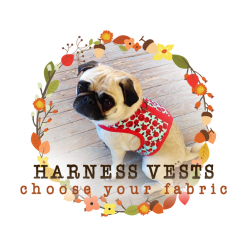 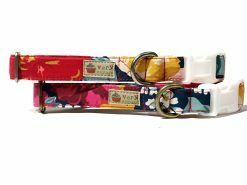 Perfect for the country vintage pup! 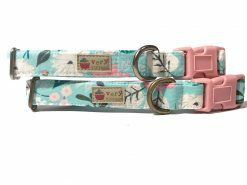 We’ve also gone ahead and adorned it with a contrasting light pink buckle. 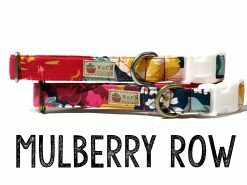 As always, this vintage fabric covers our unique organic cotton webbing! I adore my new Garden Path collar and matching bow tie!! It’s so cute and well made, and looks even better in real life than it does on the photos.